Miniature Monday returns after over a month's hiatus! 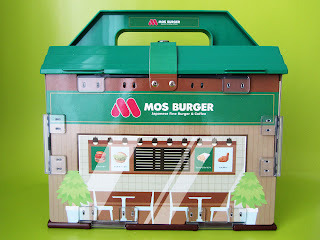 Truthfully, this Mos Burger playset was meant to be the finale for Licca Week that I had begun weeks and weeks ago. I never got around to finishing it with the crappy weather and other distracting things. Better late than never as the saying goes....And so, here it is, from Japan to my luggage, my house to my camera, and finally my blog for your viewing pleasure! It's very much like the Mr. Donut playset that can be seen HERE. It is slightly smaller though. It doesn't have the built-in sitting area and donut display stand that the Mr. Donut set has. 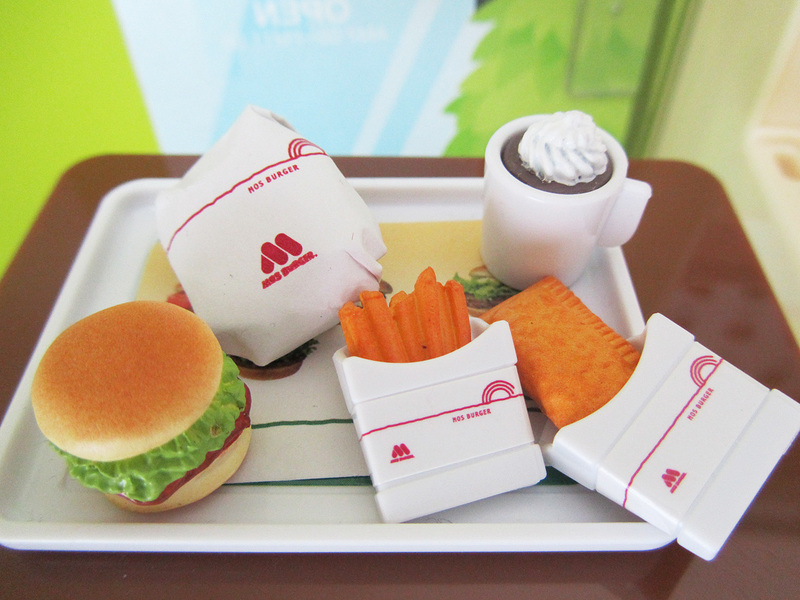 As with the Mr. Donut set, Mos Burger comes with an array of food miniature goodies. Then there are the take-out boxes and bags. Because it has a wider variety of grub than just donuts, it has a higher food miniature fun factor, food types including hotdogs, fries, fried chicken, breakfast burgers, etc. My set shows more food because I bought the two separate Mos Burger food packs. I didn't want to leave anything to chance as it wasn't everyday that I get to stroll around a department store in Japan. I was even lucky enough to get my hands on the Mos Burger uniform that Licca is wearing, unlike the Mr. Donut uniform that eludes me to this day. A close-up of random food choices. 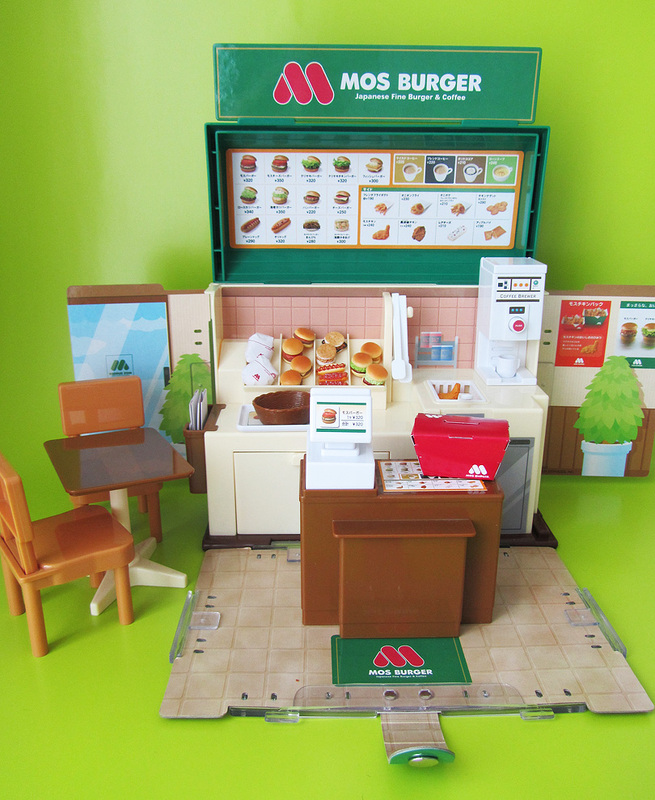 This is a really cool playset. Easy to assemble. Packs up neatly. 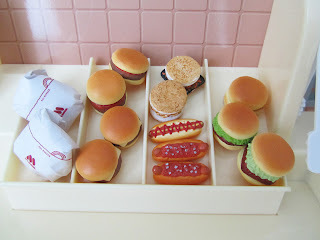 Lots of authentic-looking food miniatures. Seems durable enough for rough play. 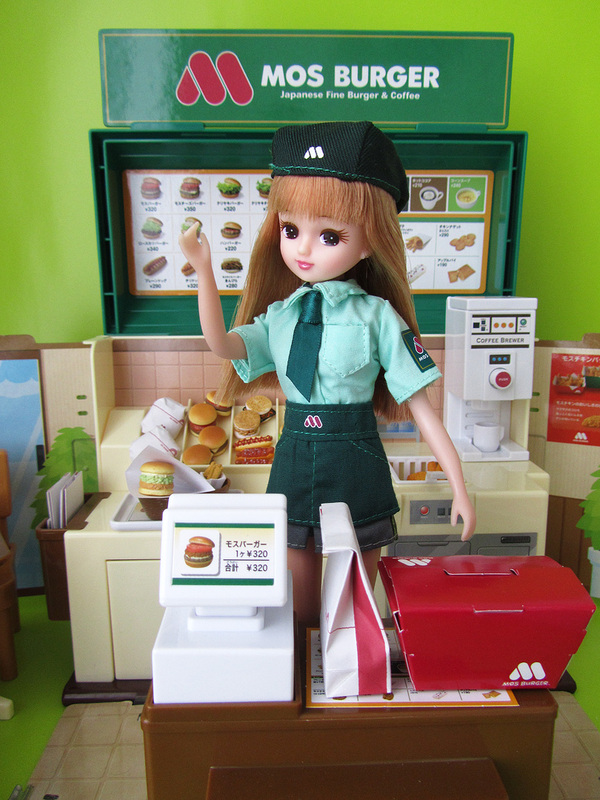 And that uniform is too cute on Licca! You can even attach this one to the Mr. Donut set for double the fun. I just don't have a place, at the moment, to spread them out at the same time for a good photograph. I just love seeing all the goodies you brought back from Japan! Thank you Aubrey! I'm so glad you're enjoying them!